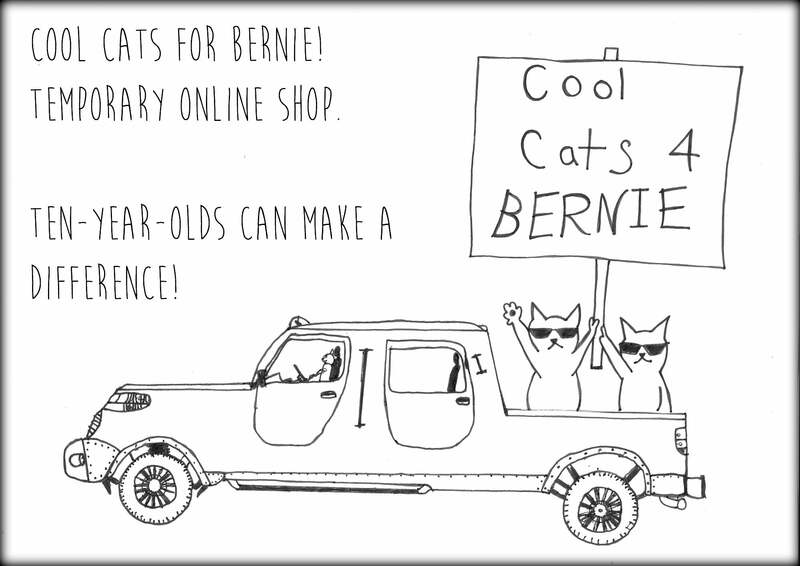 Policies / Cool Cats for Bernie! My preferred method of payment is Paypal using the Big Cartel cart. It is secure and easy-breezy. Please contact me if you need to discuss an alternative form of payment. In most cases, I can be flexible! If, for some reason, you are not satisfied with your purchase, exchanges or refunds for store credit will be accepted within 7 days of the receipt of your purchase. Items must be in the same condition in which they arrived to your door (un-worn, un-used). I am sorry, but refunds or exchanges cannot be given for custom work. ...are happily considered. Please contact me with your ideas! I require a 50% deposit on custom spinning, knitting, or felting, the balance being due upon completion. Would you like to knit a sweater or crochet an afghan with handspun? Awesome. Just be sure to order the maximum amount of yardage so you're sure to have enough of the same colorway to complete your project. It is very difficult to repeat a hand dyed colorway to match a previous batch. I will also do custom spinning of your own fibers from batts, roving or top, any amount. I have spun dog, cat and pet rabbit fur and will custom blend it for your project. I will not take raw fleece for processing. Custom carding is also available in small, one-of-a-kind batches from my drum carder.